CBERS-3 was part of the China–Brazil Earth Resources Satellite Program which is a cooperation between Brazil and China that was initiated in 1984 and saw its first launch on October 14, 1999 when the first CBERS satellite was launched. CBERS-1 carried three remote sensing instruments for Earth Observations. Instruments installed on the vehicle were the Wide Field Imager Camera, a Medium Resolution Camera and an Infrared Multispectral Scanner Camera. The spacecraft operated until August 2003. In October 2003, CBERS-2 launched atop a Long March 4B. The satellite was identical to CBERS-1 and operated until late 2007 when it was retired because the next satellite became operational. CBERS-2B launched on September 19, 2007. The spacecraft was similar to the first two CBERS satellites but carried an additional instrument, a High Resolution Panchromatic Camera. The satellite suffered an electrical failure in late 2010 and could no longer be operated. 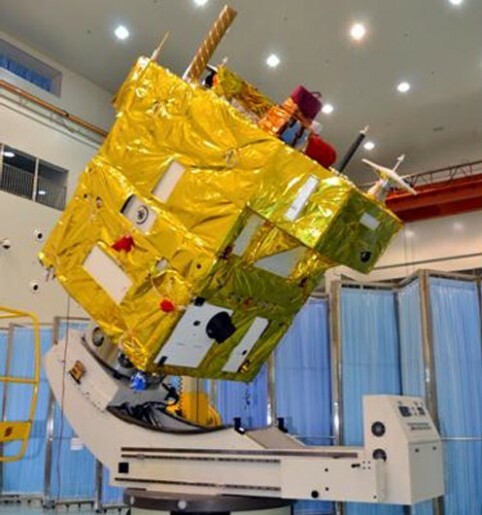 Taking the next step in the CBERS program, China and Brazil started the development of advanced instruments for flight aboard the CBERS-3 and 4 satellites. 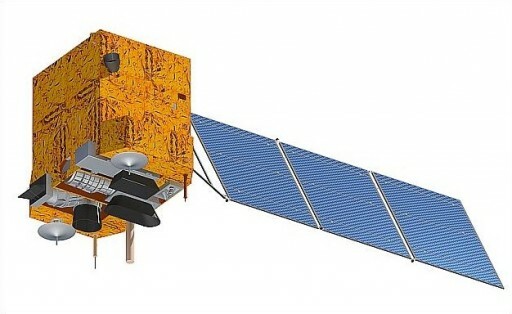 CBERS-3 is based on the Phoenix-Eye 1 satellite bus developed by the China Academy of Space Technology. 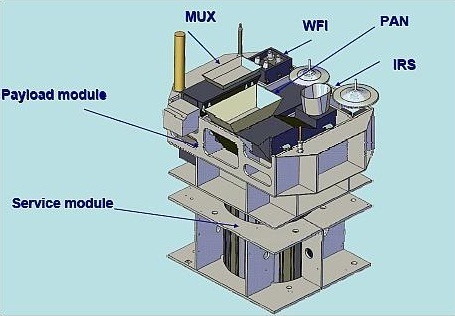 It uses a hexahedron shaped platform that is divided into a service and payload module. Overall, the bus is 3.35 by 3.35 by 3.25 meters in size. The spacecraft weighs 1,980 Kilograms featuring a single solar array that provides 2,300 Watts of electrical power using sun-tracking capability. The solar array is equipped with triple-junction gallium arsenide solar cells. Power is distributed by a suite of regulators and converters; Nickel cadmium batteries are used for power storage. 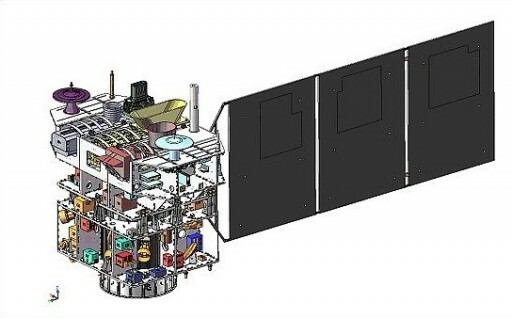 CBERS-3 uses star sensors, sun sensors, infrared Earth sensors, gyros, a GPS receiver, a control computer, momentum wheels and a monopropellant hydrazine propulsion system for attitude determination and control as well as orbit adjustment maneuvers. The satellite provides precise pointing capability to keep its +Z panel that is hosting the instruments Earth-pointed. CBERS-3 is equipped with an Infrared Multispectral Scanner Camera (IRMSS), a scanning instrument that covers four spectral bands, a 0.5 to 0.9-micormeter panchromatic band, a 1.55 to 1.75-micrometer & 2.08 to 2.35-micrometer infrared band & a 10.4 to 12.5-micrometer thermal infrared band. IRMSS acquires images with a ground resolution of 40 meters for the panchromatic and infrared bands and 80 meters for the thermal infrared band. The instrument covers a ground swath of 120 Kilometers providing a full coverage image of Earth every 26 days. The Advanced Wide Field Imager Camera (AWFI) – a pushbroom sensor, also covers four spectral bands: 450 to 520 nanometers (blue), 520 to 590nm (green), 630 to 690nm (red) and 770 to 890nm (near infrared). It has a field of view of 28.6 degrees and a focal length of 150 millimeters. The instrument has a wider ground swath of 866 Kilometers for full Earth coverage in five days. AWFI achieves a ground resolution of 64 meters. The Panchromatic and Multispectral Camera (PANMUX) is a high-resolution imager. It covers the following spectral bands: 510 to 850 nanometers (panchromatic), 520 to 590nm (green), 630 to 690nm (red), and 770 to 890nm (near infrared). Panchromatic images are taken with a ground resolution of 5 meters while the other bands have a 10-meter resolution. PANMUX can take images via two fields of view – one nadir-pointing FOV and one off-nadir FOV. The instrument covers a ground swath of 60 Kilometers. MUXCam, the Multispectral Camera, is a pushbroom-type instrument with a field of view of 4.4 degrees and a focal length of 506 millimeters. The optical system (entrance mirror, a window, a moving lens & 11 fixed lenses) along with the focal plane is facilitated within the RBNA system while the RBNB system includes thermal control electronics, the focus adjustment mechanism and the instrument calibration system. The RBNC system generates CCD reading clock signals, and includes output processing units and encoding systems that handle the payload data. MUXCam uses a 4-line array detector with 6000 pixels per line being 13 micrometers in size. The instrument covers four spectral bands: 450-520nm (blue), 520-590nm (green), 630-690nm (red) and 770-890nm (near infrared). MUXCam achieves a ground resolution of 20 meters covering a swath of 120 Kilometers. Data provided by the individual instruments goes through onboard processing by the Data Collection System ahead of downlink to the ground. S-Band communications are used to downlink housekeeping telemetry and uplink spacecraft commands. A high-speed X-Band link of 305Mbit/s is used to downlink payload data that is stored in a 274 Gbit recorder. CBERS-3 was targeting an operational Sun-Synchronous Orbit of 778 Kilometers at an inclination of 98.5 degrees with a Local Time of Descending Node of 10:30. 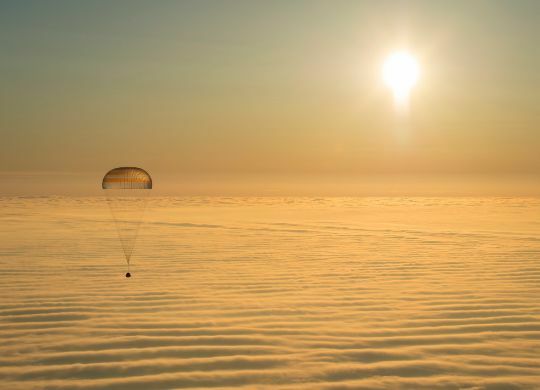 The satellite was expected to operate for three years.